In our ever-polarising political climate, it is now more important than ever to turn the focus on an open and educated discussion between people from all walks of life. This, more than anything, was the tone and the reasoning for the Abortion Debate held by DCU Debate Society on Thursday the 17th of November. This debate was immediately met with controversy when the Society first released its event page on Facebook due to the nature of its advertising poster. People immediately flocked to the page to express their outrage at not only the poster but for the students involved in the society. Assumptions and accusations were made on the basis of the gender. This wish for discussion to be halted is something that can be seen increasingly on both sides of the political spectrum, be they left or right. It is an unwillingness to listen to an opinion that is not your own and an assumption that people who do not agree with your own beliefs are being “offensive” and “dangerous”. 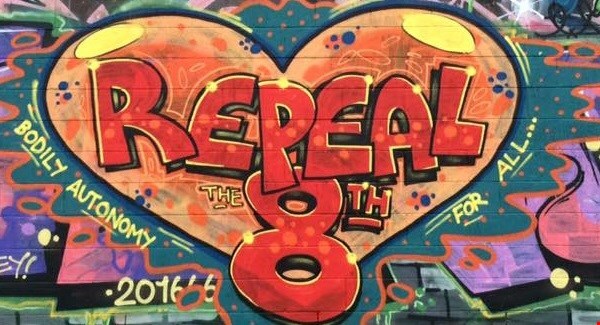 While abortion is a highly contentious issue for all, it still stands that in order for either side to make headway during a legitimate Constitutional Referendum, they must be willing to engage in civilised, genuine discourse with each other. The necessity of this was seen at the debate when an unknown heckler disrupted the Pro-Choice Keynote Speaker psychiatrist Dr Peadar O’Grady with his Pro-Life Rhetoric. The man, who began with shouting ‘Psychiatrists are evil” and continued disrupting Dr O’Grady until he was removed by security, ended his tirade by shouting an “appeal” to our hearts “We must not murder the little babies” and proceeded to throw a paper aeroplane with a question for the debaters.